In F1 this year we've got used to things being very close and claustrophobic, with cars so tightly packed on lap times that one could (metaphorically) throw a handkerchief over most of them. 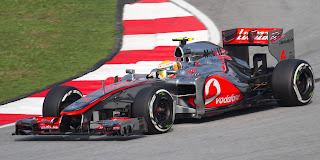 That was indeed the case today, but with one glaring omission: Lewis Hamilton was in a class all of his own out ahead. Today was classic Hamilton. Absolutely bang on the money, pitching the car onto each and every apex, tail sliding almost for fun, and a series of lap times that no one could get near. The acrobatic Hungaroring layout and low grip surface suits him just fine (indeed, in five years in his F1 career he's won here twice and has now taken three pole positions). And when Lewis really has his tail up there are few finer sights in modern F1 than watching him drive a car at its outer edge of adhesion. From an early stage today it was pretty transparent that any tension was around who could qualify second. Sure enough, in the final session Lewis claimed pole by a clear four tenths of second, and just like Alonso last week at Hockenheim he set two separate times that were each good enough to have him start at the front. It all confirms the McLaren upturn hinted at last week, and further the hot track temperature and long corners prevalent here are right up its street. Jenson Button, more worryingly, sounded rather pained about the handling of his car, in a throwback to his woes prior to the German race. Still, he salvaged fourth on the grid, albeit six tenths slowed than his team mate's best. 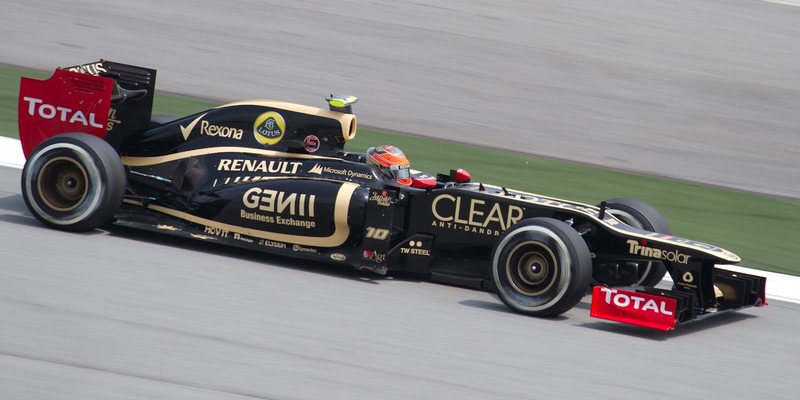 What can we expect from Romain Grosjean tomorrow? Onto what went on behind Lewis. Well, the incumbent of P2 on the grid gives us an intriguing prospect for tomorrow's race that even Lewis might have to think about. Romain Grosjean joins Lewis on the front row, so we may finally get to find out what happens when a Lotus starts near the front and doesn't get involved in a first lap scrape. Often this year Grosjean has displayed race-winning pace but has been scuppered by these; will he finally put the race-winning pace to proper use tomorrow? One drawback for him is that Pirelli's compound selection this weekend is conservative, the softs and mediums are available here this year compared with supersofts and softs brought last year. Lotus, with its famously gentle tyre touch, would have preferred the 2011 selection no doubt. Another drawback is that Grosjean starts 'off line' (as do all those with an odd number in the starting order), and that in the past at Hungaroring has sometimes been a bit like starting in second gear. Sebastian Vettel, with many an accusing eye on the Red Bulls to see how they'll go with the infamous engine mapping loophole closed, was still in the mix and claimed P3. After Button we have Kimi Raikkonen, who for all of his safety and consistency on display this year continues his apparent inability to match Grosjean's outer limits of pace. 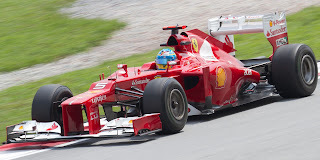 Only then do we find the Ferraris, who'll start P6 and P7 with Fernando Alonso squeaking ahead of Felipe Massa, who's looking pretty rapid this weekend. The F2012 that leads the drivers' table by 34 points in Alonso's hands hasn't looked to be on its best behvaiour at the Hungaroring, appearing rather like it wants to go straight on rather than turn, and Alonso has admitted that without rain (some of which is in the forecast for tomorrow) or unusual occurrences a win is not in his itinerary. It's perhaps worth reflecting that while he's taken pole in the last two races in wet conditions, in the last dry qualifying hour he didn't even make the top ten. Though in fairness it turned out OK for him there in the end; Alonso's ability to make the best of things on a Sunday is well-established and will likely be on show in the race here. And Mark Webber is even further back. Ever since his British Grand Prix victory left him nicely poised in the table very little has gone right for him. That continued today as he qualified in P11. And there didn't appear to be an awful lot wrong other than him simply not having the pace, though slightly mitigated by 2012's as usual tight running order (indeed, in the second session half a second covered P2 to P14). So, if the rain stays away tomorrow things will likely boil down to Lewis Hamilton running clear at the front and whether the much-vaunted Lotus race pace, so long promised, can actually show itself and is good enough to bridge the considerable pace gap to Lewis. If it does rain then all bets are off. 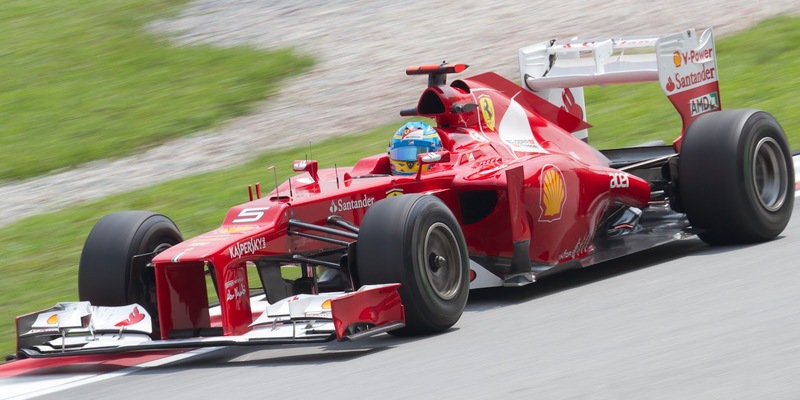 Hockenheim Preview: A matter of perspective?